Sweet and simple. 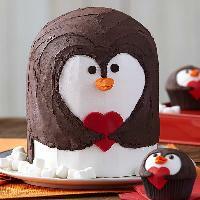 This Penguin Cake will win their heart. Easy buttercream icing and a fondant cutout heart make it super easy to decorate an adorable Valentines Day themed cake thats sure to warm their hearts. Do we have to spell it out for you? We LOVE cake, and you. We love you, too. 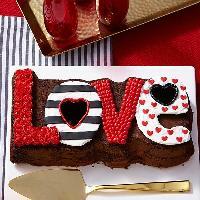 Thats why this easy L O V E cake pan is perfect for Valentines Day and celebrating those that you love most. 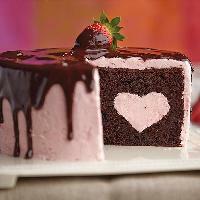 Send a sweet treat arrow straight to their heart with this luscious chocolate covered strawberry cake. Layers of rich chocolate cake are surrounded, both inside and out, with strawberry buttercream, thats then topped off with chocolate ganache and chocolate covered strawberries. Get ready to fall in love. What could make a heart shaped, chocolate buttercream iced cake even sweeter? 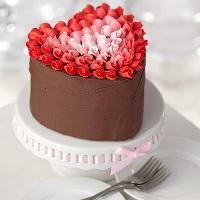 Decorate this Valentines cake with rosebuds in five shades of red. 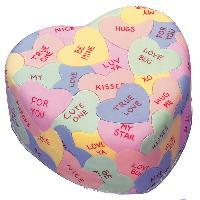 Use the Wilton Heart Pan to bake the cake. Hugged in a blanket of candy, this decadent torte is sure to indulge every palate. Make the textured candy wrap with Candy Melts Light Cocoa Candy for an elegant touch. Finish with fresh raspberries and a dusting of confectioners sugar. Decorated with candy hearts on top and heart sprinkles on the sides, our Heart Tasty Fill pan bakes a cake you fill with a valentine surprise whipped cream, mousse, icing. 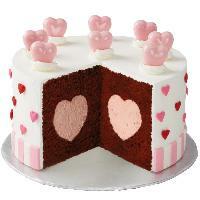 The indentations are baked right into your cake layers so each cake slice shows the heart shaped design. 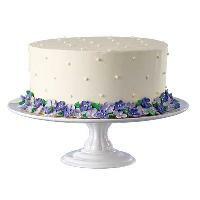 Experienced decorators always keep an assortment of dried royal icing flowers on hand. Then when they need a dessert in a hurry, its super easy to create a cake like this. 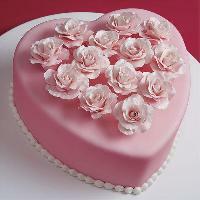 For Valentines Day, wedding day or any day special, this rose topped heart cake says it all. Its the ideal clutter free design to show off your skills at making gum paste roses, picked up in your Gum Paste and Fondant Course. 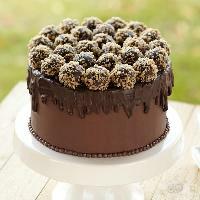 Layer decadence on decadence with a chocolaty truffle topped cake. 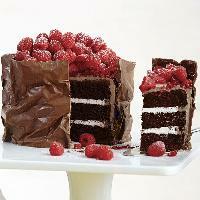 Wilton Candy Melts Candy in rich dark cocoa makes this cake a dark chocolate cake masterpiece.